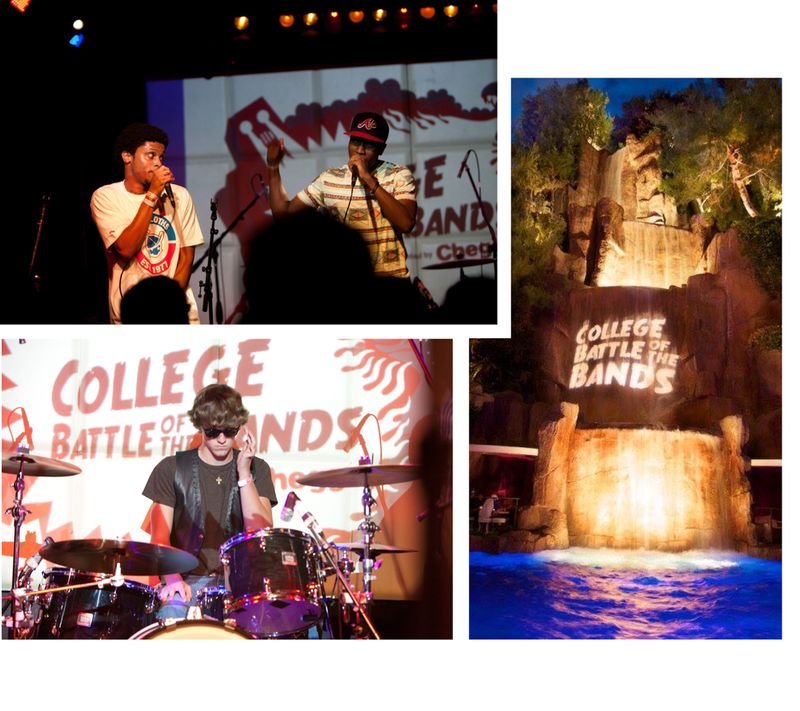 College Battle of the Bands (AKA CBOB) is the only nationwide search for the top college musicians, bands, and live music artists of all genres. CBOB was founded in Atlanta in 2009, and after a short break for 2013-14, CBOB officially relaunched Spring 2015. 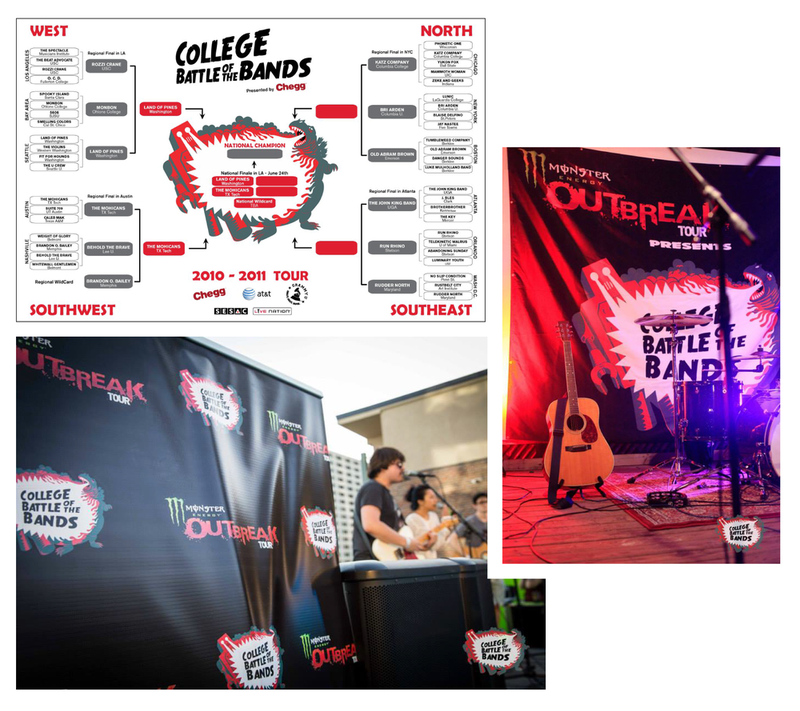 Along with cash prizes, CBOB gifts its winner with a customized electric guitar. 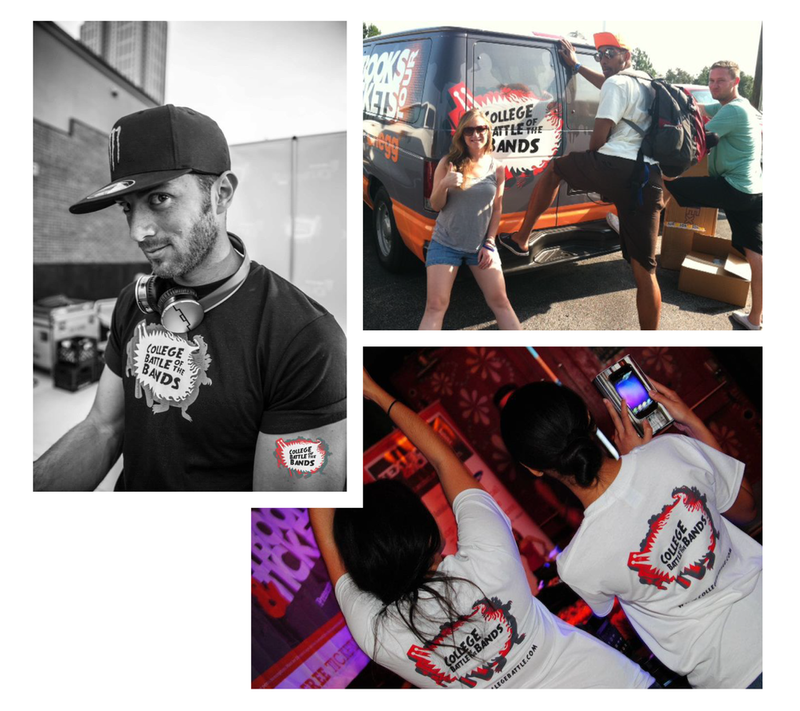 The CBOB logo has been used for a wide range of marketing pieces, from event banners and projections, apparel and vehicle signage, as well as web and social media.